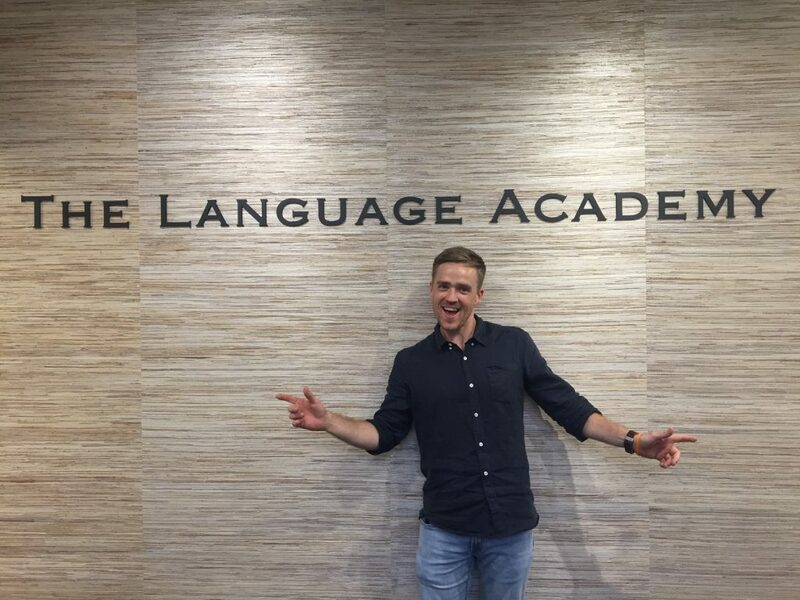 We go behind the scenes with Rhyle, our down-to-earth member of The Language Academy teaching team. Read his interview below to find out how his connection with Cambodia has led him to a life of adventure, purpose and teaching. 🅠 Where did you grow up? Ⓐ “Born in Perth, but I grew up all around the world. I lived in the Solomon Islands, and in the United States, in Texas and Hawaii for three and a half years. But I’ve spent most of my life on the Gold Coast. 🅠 What prompted you to move to Cambodia? Ⓐ “I had this inherent desire to explore the world. I was in a position where I wasn’t entirely happy, and I recognised that. So, I thought ‘what can I do?’. I managed to choose the most outrageous thing at the time, because everything was so mundane. I wanted to do something that had an impact on someone or something. 🅠 Who or what inspired you to start teaching? 🅠 Have you studied anything other than linguistics? 🅠 What do you like most about teaching? 🅠 What do you find is the most challenging thing about teaching? 🅠 What is your teaching philosophy? 🅠 Describe a successful lesson. Tell us why it would be successful. 🅠 What is the next language that you want to learn, and why? 🅠 Where have you travelled? 🅠 Do you have any hidden talents? Ⓐ “[Laughing] I actually don’t think I do, that’s really sad. I must have something… surely [laughing]. Hmm… no I don’t, that’s so depressing! [laughing]. 🅠 What is your favourite food? 🅠 How would you describe yourself in three words? 🅠 If you could be any animal in the world, what animal would you be and why? 🅠 Describe your perfect day. What would it look like? 🅠 What is one thing you want your students to remember about you? If you want to learn English, view our Intensive General English course, or get in contact for more information. Get in quick – spaces are limited as we ensure small class sizes for the best learning outcomes!